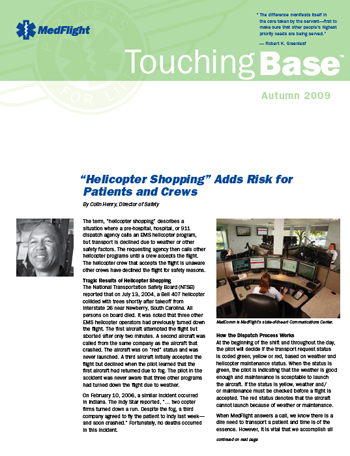 Eyethink Visual Communication Consultants hired Heavy Content to develop a newsletter format for MedFlight. MedFlight sought to communicate their core values - excellence, safety, community service and compassion - to a diverse group of emergency medical and healthcare professionals. Heavy Content created the original content guidelines in 2002 and continues to provide editing, copywriting and project management services for each issue of Touching Base. View more of our medical communications portfolio. Contact Heavy Content at 614.638.5530 or service@heavycontent.com. Heavy Content, Ltd. PO Box 340173, Columbus, OH 43234. Heavy Content provides marketing communications, graphic design, website development, public relations and social media management services for clients in Columbus and Central Ohio.